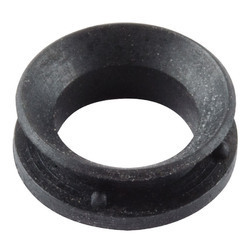 We are a recognized manufacturer and supplier of high quality V Seals and the range comprises of pump seal, industrial pump seal, auto cooling pump seal, shaft seal, seal ring, carbide seal, etc. These are fabricated using superior quality basic raw material in order to meet the set quality standards and are available in different sizes, colors and dimensions at affordable prices. We have established ourselves as trustful firm of premium grade V Seals. Suitable for medium to heavy duty applications the offered seals are widely used as a dust seal or as a guard. With our modern transpiration amenities, safe and on-time deliveries are rendered by us!Made using superior grade materials, our products are quality assured and as per international industry standards. 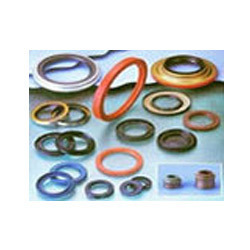 We are an established company for providing V Seal to our clients. It has been made through latest technologies and using premium quality material. With the help of well-equipped infrastructure facilities and highly dedicated professionals, we are able to deliver our offered range on-time as per the client’s specifications. V Seal is used for Rotary Shaft. These seals are mounted on shaft and rtataes with shafts.The moving conical sealing lip contacts as static seal. The seal while fitting is stretched on to the shaft. We are manufacturing Shaft Rubber V Seals from 10 mm I.D to 300 mm I.D in Nitrile, Viton, PU, Silicom polymer grades. We are one of the foremost firms of V Cup Seal. Besides, we present this product at nominal rates to our customers.